With only two weeks to go, preparations have been stepped up considerably for the Third International Conference on Financing for Development to be held in Addis Ababa. “I urge you to keep in mind that Addis presents a historic opportunity – one that we cannot afford to miss,” said Conference Secretary-General Wu Hongbo as the final session of negotiations kicked off mid-June with the goal to complete the outcome document ahead of the Conference. “There are a number of proposals and ideas on the table that are truly transformative”, Mr. Wu continued. “They should meet the high hopes and expectations that we all have […] We need to ensure an ambitious and meaningful Conference outcome for the future of the people and planet,” he stressed. With the right financing and the right policies, we can achieve our aspirations to end extreme poverty by 2030. The event in the Ethiopian capital kicking off on 13 July is all about mobilizing the means to make the difference in people’s lives. And resources are needed. Estimates of annual investment requirements in for example infrastructure — water, agriculture, telecoms, power, transport, buildings, industrial and forestry sectors — amount to $5 to $7 trillion globally. UNCTAD has also estimated that the total investment needs in developing countries amounts to $3.3-4.5 trillion annually, with current investment at $1.4 trillion implying an investment gap of $1.9-3.1 trillion per year. Yet, the real issue is not the lack of resources. 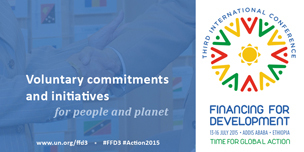 The knowledge and money to finance sustainable development do exist. The main challenge is to channel these resources to areas and sectors of greatest need to improve people’s wellbeing. All actors must take their responsibility and rise to the challenge. In addition to ODA (Official Development Assistance), the need for private, domestic and international sources of finance has also been stressed. But money alone will not be sufficient. “Trade, debt, governance, capacity building, technology, and innovation are also part of the package to be adopted in Addis Ababa,” Mr. Wu explained. Ahead of the Conference, an online platform has been launched encouraging governments, organizations, businesses and other stakeholders to register voluntary commitments and initiatives to help unlock and secure resources for global good. The platform is accessible via the Conference website and it aims to capture all commitments to be announced in the lead up to and at the Conference itself, including during side events and other fora. The submissions will be published on the website of the Conference on a rolling basis. By registering new initiatives and commitments publicly, the hope is that the visibility and predictability of the implementation of the Conference outcome document will increase. It will further allow all stakeholders to coordinate their efforts and forge new partnerships. Intense days await in the Ethiopian capital when the event kicks off on 13 July and runs through 16 July. Bringing together world leaders, the Conference aims to launch a renewed and strengthened global partnership to finance people-centered sustainable development and to ensure that resources go where they are needed most to promote economic prosperity and improve health, education and employment opportunities while protecting the environment. The event will gather a great number of Heads of State and Government, Ministers of Finance, Foreign Affairs and Development Cooperation. In addition, it will bring together a large number of high-level UN officials along with representatives from the World Bank, IMF, WTO, UNCTAD and UNDP, as well as civil society and the business sector. 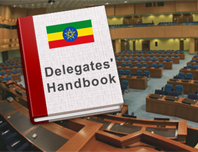 All in all, some 7,000 participants are expected to descend in Addis Ababa to participate in the Conference. In addition to the official programme, including plenary meetings and roundtable discussions, the Conference will feature international civil society and business forums, as well as more than 200 side events. To follow the event remotely, UNTV will broadcast most of the sessions live (except side events) and news stories from the event will also be made available via the UN News Centre and on DESA’s website. Before departing for Addis Ababa, Mr. Wu will provide further updates on this milestone event at a press briefing scheduled for 7 July at UN Headquarters. This briefing will be broadcast live via UN Webcast. 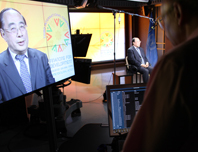 The full length UNTV video interview with Mr. Wu will be available shortly on the website of UN Web TV (see the link provided below). VIDEO: What are the key deliverables in Addis?